Trade show booths are perfect for all types of personal and business events. From weddings to business conventions, our signage company can create any kind of custom trade show display to meet your needs. Social and business events have one thing in common, they usually gather a significant amount of people in one place, so they are great opportunities to build brand awareness and let people know about your company, and how they can benefit from your products or services. Trade show booths are one of the most effective ways to stand out in events and, if done by professionals, you can increase your business leads and sales by attracting new customers to your business. When hiring our graphic design company for designing and manufacturing your trade show displays, we will customize it to your needs and the type of event you are planning to attend. Our team of highly qualified designers will work with you so we can combine your ideas with our expertise and together create the most attractive trade show booth. 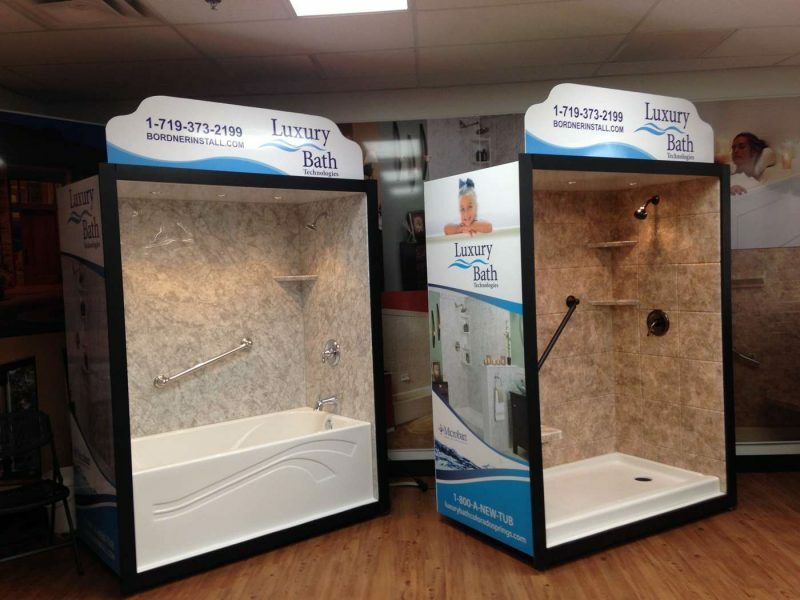 Trade show displays are a great way to attract new customers and business partners. If you are looking for new ways to make your business grow and attract new leads, contact us today and let us become your best ally to create smart marketing solutions that will make your business shine.